Customers can order the devices online at www.cpsire.com and via phone through Customer Telesales at 1.855.CSPIRE4 for home delivery or pick up at any C Spire retail store beginning on Tuesday, March 26. The all-new iPad Air features an ultra-thin 10.5-inch design, offering the latest innovations and high-end performance at a breakthrough price. With the A12 Bionic chip with Apple's Neural Engine, the new iPad Air delivers a 70 percent boost in performance and twice the graphics capability, and the advanced Retina display with True Tone technology is nearly 20 percent larger with over half a million more pixels3. 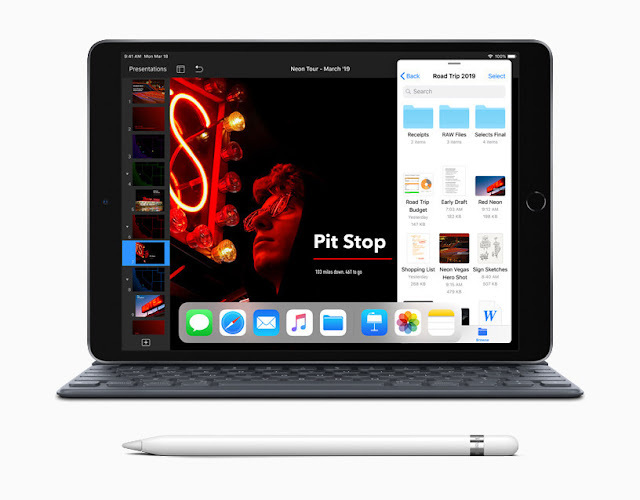 The new 7.9-inch iPad mini is a major upgrade for iPad mini fans who love a compact, ultra-portable design packed with the latest technology. With the A12 Bionic chip, the new iPad mini is powerful multi-tasking machine, delivering three times the performance and nine times faster graphics4. The advanced Retina display with True Tone technology and wide color support is 25 percent brighter (4) and has the highest pixel density of any iPad, delivering an immersive visual experience in any setting. The powerful and smart A12 Bionic chip brings a new level of performance and speed to handle demanding computing tasks and power the next generation of apps for engaging AR experiences, photo-realistic effects in 3D games and stunning graphics performance within apps. With advanced front- and back-facing cameras, iPad mini and iPad Air take gorgeous photos and capture clear and stable 1080p HD videos. Apple Pencil opens up new creativity and productivity possibilities, from drawing and writing down thoughts to marking up documents and retouching photos. For more details and pricing information on C Spire products and services, please visit www.cspire.com and click on the wireless tab. For more information on the iPad, go to www.apple.com/ipad.